4RC – It's all about the riding! …. It’s All About The Riding!…. The 4RC motto “It’s all about the riding” really does sum up what we’re all about. If you enjoy riding, exploring new roads, a great social scene and an enthusiasm for all things motorcycling, then 4RC is for you. To meet like-minded motorcyclists who enjoy riding and exploring new roads and areas. To promote an active membership and attendance at 4RC summer weekends and tours and encourage the development of good riding skills. Provide members with practical support, information, and assistance where possible. Basically, ride a lot and have a good time. We are a nation-wide affiliation of regional groups, each of which organises ride outs and regular local group meetings. 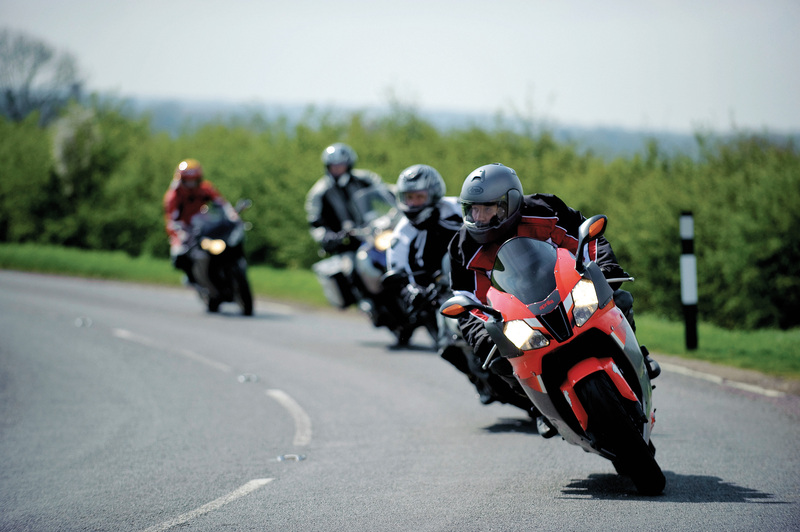 Throughout the summer months each regional group organises a weekend of riding and activities for 4RC members on the best roads in their area. The weekend agenda is a locally led ride on the Saturday, which is usually split into three groups – touring, intermediate and progressive. We have a several comfort / coffee breaks throughout the ride and stop of at a local pub for lunch, then it’s then back to base for a few beers and a natter. Sunday normal consists of a late start and members making their way home by a scenic route. Most of the weekends cater for B&B and camping whenever possible. New members receive a 4RC tee shirt when they join and during the year we have a Facebook page for banter where impromptu ride outs can be arranged. The membership fee is £10 per year, £18 for joint membership, which is renewable on the 1st January each year.